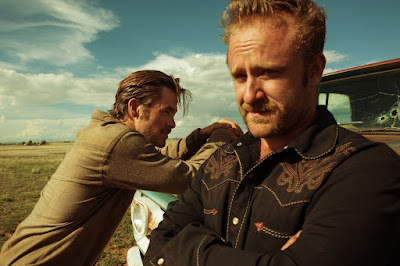 I didn’t see a zillion movies last year, but the best one I saw by far was Hell or High Water. When I saw it in the summer it was one of the first times I understood why so much of the country would vote for Donald Trump. That’s because hell or high water is a movie for its time and place, and struggling America 2016 is that time and place. Throughout the film the bank robbing brothers (played by Chris Pine and Ben Foster) drive past empty business after empty business in small town after small town. They drive past scrap yards and junk yards and billboards advertising ways to get a little money by selling your stuff. The interiors of houses in the movie are run-down and the people are having a devil of a time getting by. The plot involves the bank robbing brothers trying to stick it to “the man” and more specifically a certain corporation that has been screwing them over (I won’t get into more detail as it’s a key plot point). But watching the brothers drive from depressed small town to depressed small town and passing boarded-up business after boarded-up business was like dropping in on Trump voters who are pleading for somebody to put them to work. If you watch it for nothing else, watch it to see that demographic. It's the best acting job by Chris Pine I’ve seen from him, and since I only really have seen him in the Star Trek reboot, I’m not sure how much of a ringing endorsement that is. Let’s just say William Shatner wouldn’t have been able to play this. It’s nuanced, subtle and dimensional. Ben Foster is also excellent as his no-good brother. 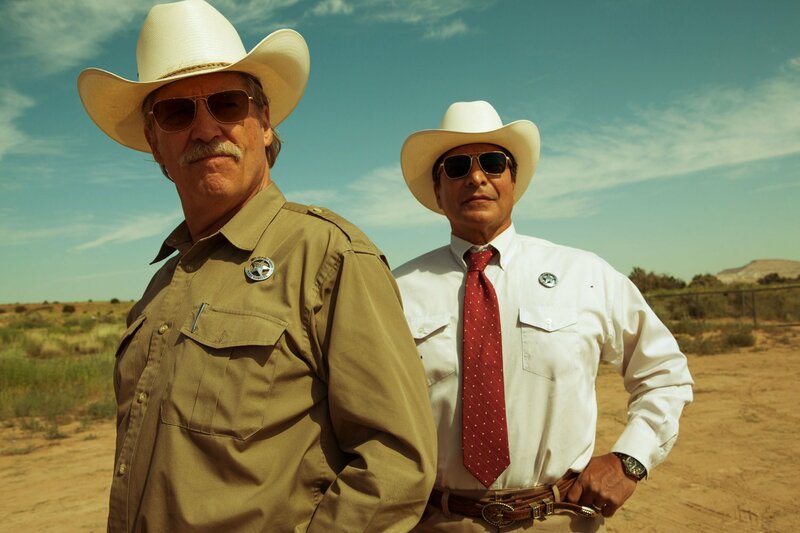 Jeff Bridges is getting the lion’s share of the acting kudos because the almost-retired Texas ranger is a character role, and Bridges excels in playing characters. There are even a few references to towns featured in Bridges’ breakout role, The Last Picture Show. While Bridges kills it, this is a role that a lot of solid actors would chew on very well. Casting Bridges, while excellent, was almost too easy. On par with Pine is the man who plays Bridges’ Ranger partner, Gil Birmingham. As a half-Cherokee, half-Mexican, Birmingham gets simultaneously praised and badgered by Bridges. Not long ago Bridges’ patter would be accepted by everyone, nowadays it comes across as uneasy. The result is feeling more sympathy for Birmingham’s character, and since everyone automatically likes Bridges immediately, this builds more sympathy for the law. And that’s an interesting thing the film does, creating sympathy on both sides. You end up rooting for both the bank robbers and the law chasing them. That takes great acting on both sides, previously discussed, and the interpretation of a good script. Taylor Sheridan wrote it (he’s more known for being on Veronica Mars and Sons of Anarchy, both show’s I’ve barely watched so I have no previous knowledge of his work) and David MacKenzie directed it (nothing familiar to this point) and they should be rewarded in the coming months by various places that hand out statuettes. With all the loud fast-paced blow-em-up special effects around, Hell or High Water is a refreshing change and worthy of your time. (There's some gunplay, but it's shown to be life-changing and not just done for the sake of explosions.) It should be back in the theatre once it’s nominated for stuff, and it’s my choice for the top film of 2016.